Turn the ignition switch off and disconnect the battery (–) lead wire (1). 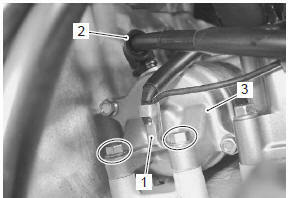 Disconnect the starter motor lead wire (2). Remove the starter motor (3). 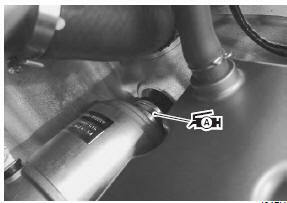 Install the starter motor in the reverse order of removal. replace the o-ring with a new one. Install the starter motor. Refer to “wiring harness routing diagram” in section 9a .